The patterns include: color photos of the finished product, easy to follow directions, list of abbreviations & a stitch glossary explaining the techniques used in the project. 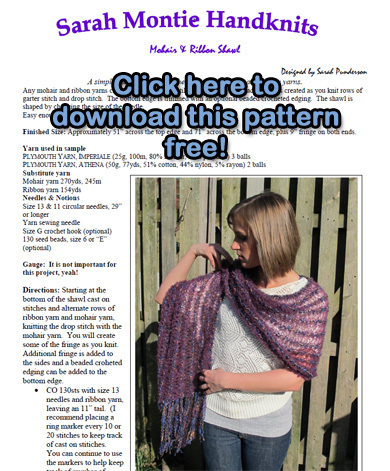 All patterns are available for purchase and are emailed to your email address in PDF format. 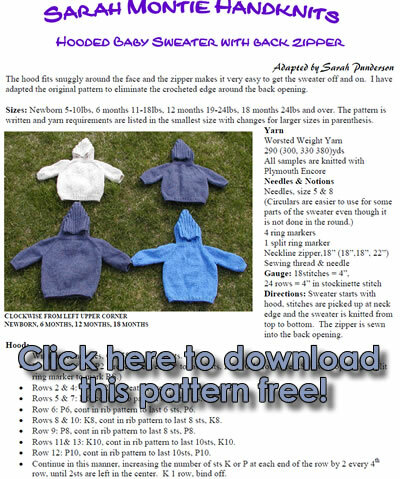 Please Enjoy the Shawl Pattern and the Hooded Baby Sweater with Back Zipper Pattern Free! Click on the image of the pattern to download immediately.